Seder night overflows with excitement and meaning as we journey through the fifteen steps of the Seder. The four cups of wine feature as one of the key defining aspects of reliving the Exodus from Egypt. The seemingly straightforward practice of drinking the four cups of wine on Seder night is the subject of great Talmudic discussion and debate. How many cups of wine must an entire family drink on Pesach night: can one family member drink the four cups on behalf of everyone, or must each person drink his own four cups? 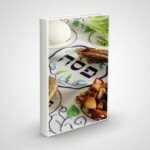 Does it make a difference if a family can barely afford the necessities of Seder night? Must each of the four cups of wine be drunk separately following the steps of the Seder, or can one fulfill one’s obligation by drinking the four cups of wine consecutively? Are the four cups of Seder night conceptually identical to the cups of wine we drink when fulfilling other mitzvot (like a wedding or Kiddush), or are they unique? What quantity of wine needs to be drunk for each of the four cups? Is it sufficient to just take a sip for each cup? Does it make a difference if the wine is diluted with water or not? Can grape juice be substituted for wine for the four cups, or is there something special about the Seder that makes wine essential? The shiur concludes with a section from the Talmud Yerushalmi containing biblical hints symbolizing how the four cups express essential themes of Pesach. 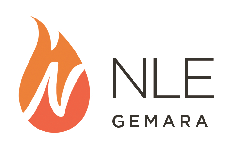 Click here to view the brand new NLE Thinking Gemara Shiur for Pesach and click here to view all of the shiurim in the series.